A few weeks ago, there was a discussion around school whether or not the school district would implement uniforms for next year. Out of curiosity, I wondered why would the school board considers implementing uniforms? 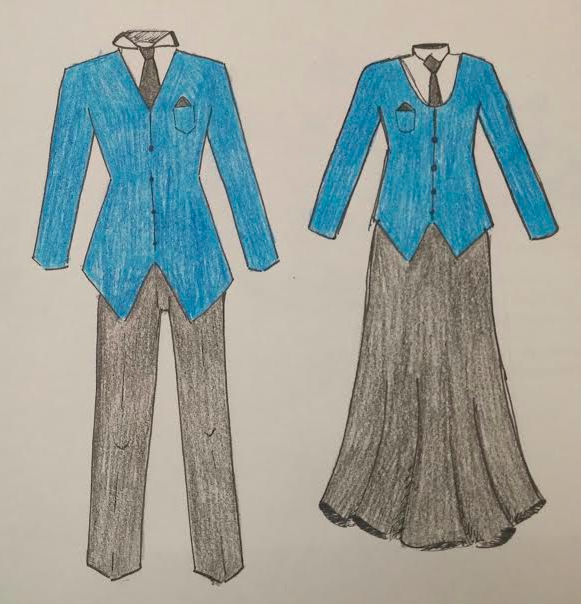 When I thought about the discussion more, I wondered was the school community's opinion on uniforms, how would the school community react to uniforms, and would the Reagan students simply comply if the school would implement uniforms or would they have some sort of negative reaction to uniforms? After some research, I found out that the Milwaukee Public School Board proposed implementing uniforms to all Milwaukee Public Schools because of the improvement seen in both the community and students of schools that have already implemented uniforms. It was seen in schools that already implemented uniforms that students are less conscious of what they are going to wear at school and are less likely to bully others for their clothing. It is also seen that uniforms make shopping for clothes for the school cheaper by parents (“District-wide uniform policy,” 2017). As of February 24,the school board has approved uniforms for the MPS district for the 2017-2018 year. The school district has made some exceptions, “Schools can opt out of the uniform policy if 66% of the school community votes… [against school uniforms]. Individual students may opt out if parents request an exemption in writing” (“District-wide policy,” 2017). “[The uniforms] would put less pressure on the kids and would have less incidents of dress code violations” is the opinion of Ms. Moseby, a school safety, on uniforms. She agrees that Uniforms would help students and should be implemented. Not only do students have personal opinions on the idea of school uniforms but teachers as well. Mr. Silva, Ms. Schuld and Ms. Carpenter have had their fair share of uniforms. Overall, I believe if you have a personal problem with uniforms you should contact the school office and calmly and respectfully express your concerns.